The Cincinnati Bengals are headed to London in 2019! Get your Official Fan Travel Packages today for this unique NFL experience, and let us handle all of your international travel needs. All experiences Powered by PRIMESPORT, a division of On Location Experiences. Space is very limited, so act today! Join other Cincinnati Bengals fans for access to the best home and road games of the year! Game tickets, pre-game events, deluxe hotel accommodations, exclusive fan experiences, souvenirs, transportation and more! 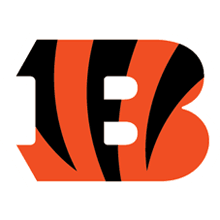 Check out our great selection of Official Cincinnati Bengals Fan Packages, powered by PrimeSport. Official NFL fan travel is powered by PrimeSport, a leading global sports travel and event management company, and a division of On Location Experiences, the Official Hospitality of the NFL.